Product contains milk, peanuts, egg, wheat, soy, almonds, pecans, and cashews. Produced in a facility that also processes egg and other tree nuts (coconut, walnuts). 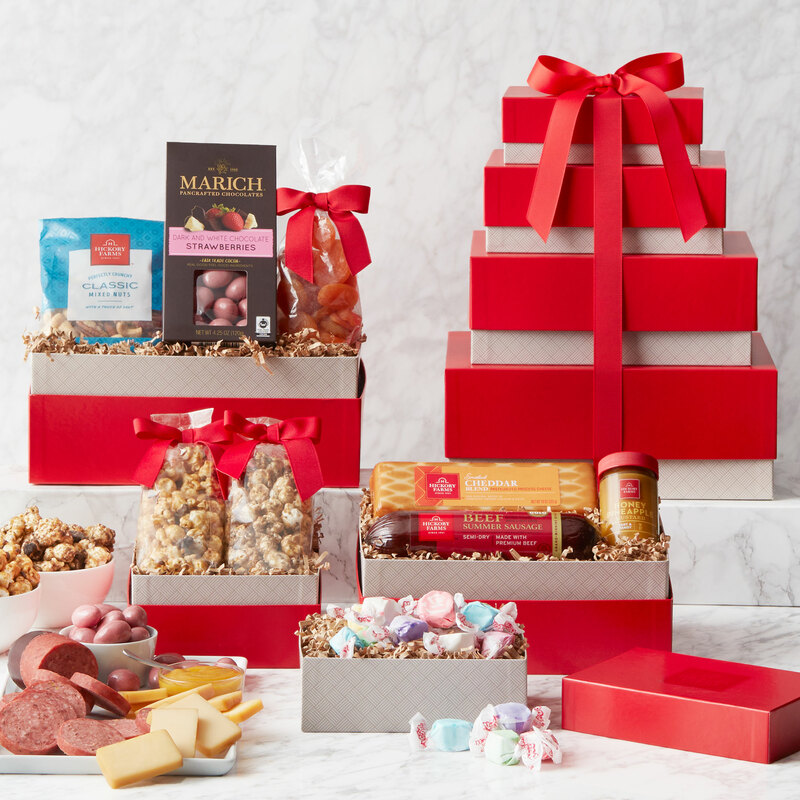 Celebrate deliciously with four towering boxes of treats! This hearty gift starts with an assortment of Hickory Farms classics--Signature Beef Summer Sausage, Smoked Cheddar Blend, and Honey Pineapple Mustard. Next is a selection of sweet and salty treats: mixed nuts, dried fruit, cookies, popcorn, and salt water taffy. There's something delicious for everyone to dig into!